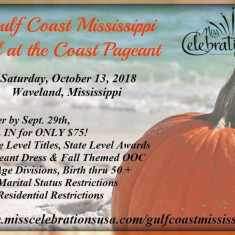 QUICK JUMP: Contestants Pageant Information How to compete in Fall at the Gulf Coast 2018? 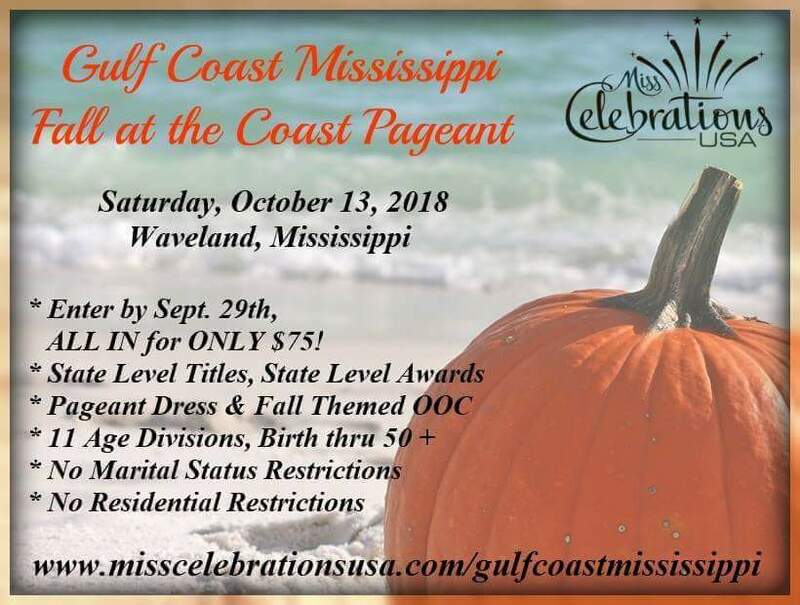 YOU are invited, please join us at our Gulf Coast Mississippi Miss Celebrations USA Fall at the Coast Pageant! * Enter by September 29th, ALL IN for ONLY $75! We will be giving away 11 titles including our most prestigious title the Spirit of Fall.  This title goes to the contestant who brings in the most non-perishable food items to be donated to the Hancock County food pantry. 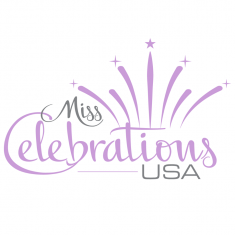 How to compete in Miss Celebrations USA?